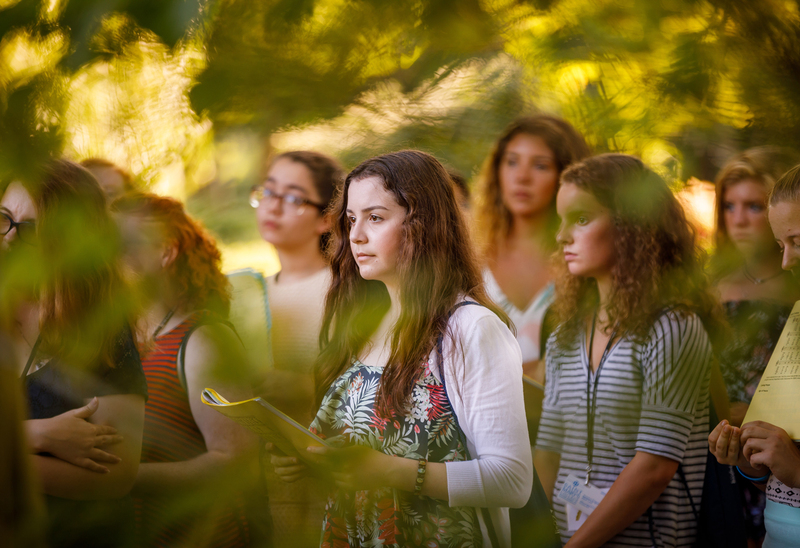 Join a community of high school girls who share your values on the beautiful campus of Saint Mary’s College. 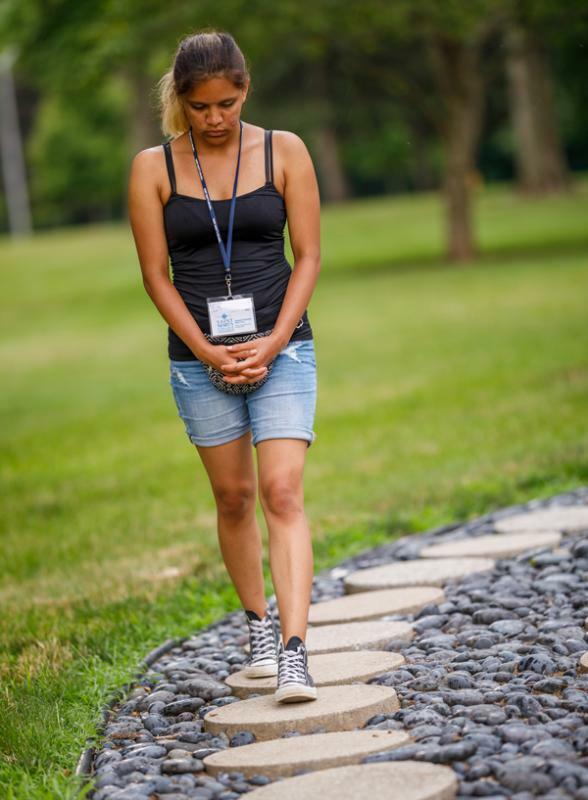 You’ll explore beauty and justice through activities and studying theology. 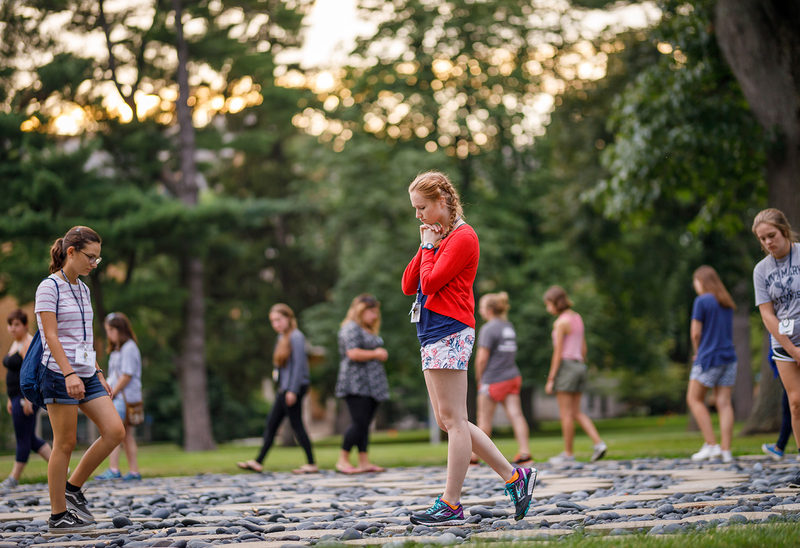 You'll stay all week in our residence halls, eat in the dining hall, and learn from College professors, as well as Saint Mary’s students who will serve as mentors. DEVELOP your faith through theological instruction, reflection and discussion, and interactive learning projects. EXPLORE your own beauty and learn to recognize yourself as beloved by God. ENGAGE in service locally to learn about the issues that challenge many of our neighbors. UNDERSTAND how to live out all that you have learned. Scholarships available — space is limited. At Embody, you'll discover new dimensions of your faith and learn how to make it part of all the aspects of your life. 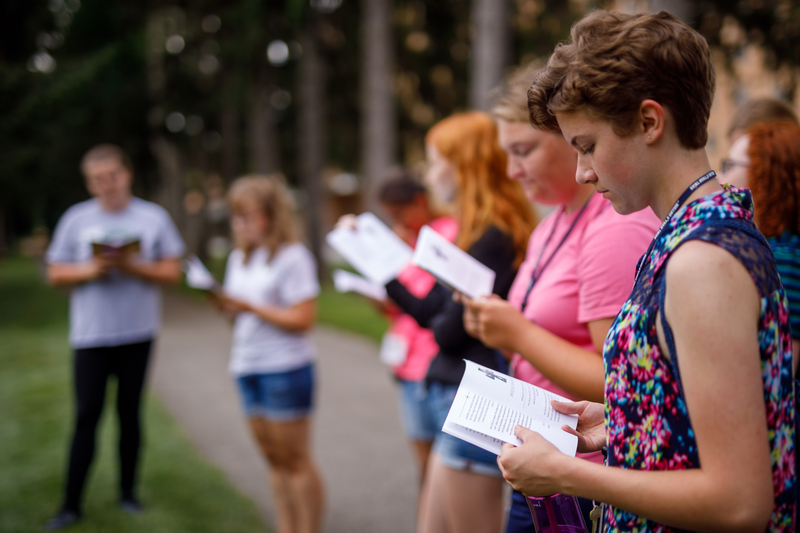 Work through your personal questions with the support of camp faculty, mentors, and peers. All of God's creations are beautiful and we invite you to a deeper understanding of your own beauty at Embody. 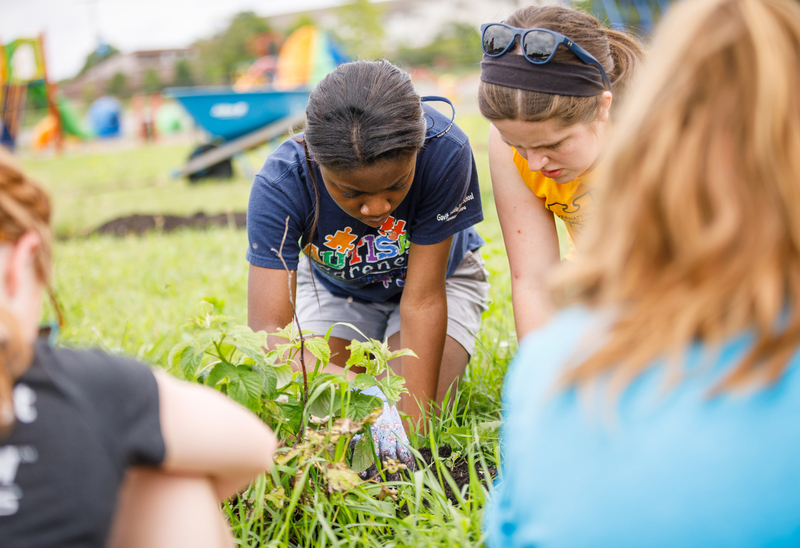 During Embody, you'll spend time out in the local community at various non-profits. You'll learn what it means to serve versus help and how that action enhances your own life. Embody: Beauty, Justice and Faith in Action is supported by a grant by the Lilly Endowment, Inc.
What are the ages of Embody participants? Embody is for high school students who have completed their freshman, sophomore, or junior years. (For Embody 2019, that means students graduating from high school in 2020, 2021, or 2022). Students may check in anytime between 1 and 4 p.m. on Sunday. Students can be picked up anytime between 9:30 a.m. and noon on Friday. Can I attend less than the full week? Our preference is that our limited space will be used by those who can commit to the full week. Those who cannot attend the full week may still apply and should contact us to note the restrictions on their attendance. These students will be placed on our wait list and will be offered space if it is available. Please note that we cannot offer a reduction in tuition for those who attend less than the full week. Will the students be well chaperoned during the week? Yes, students will be closely chaperoned throughout the week. Our program employs Saint Mary's undergraduate students who will serve as counselors within the residence halls. Additionally, the Office of Residence Life provides summer hall staff for further supervision of the residence hall environment. Applications are available online. Applications are due on April 26 and all applicants will be notified of their status by May 1. Students may be waitlisted and offered a spot if it becomes available. How much does Embody cost? How do I pay my tuition? Thanks to a generous grant from the Lilly Foundation, tuition for 2019 summer sessions is only $300 for the week. This covers room, board, and all activities. After you have been notified of acceptance into the program, you will be sent details on how to pay online or send a check. Yes there are scholarships available on a limited basis. Please email embody@saintmarys.edu for more information on how to apply. How do I get to Saint Mary's College? Saint Mary's College is located in Northern Indiana on the Michigan border. Campus is 90 miles east of Chicago on the 80/90 toll road, exit 77. Indianapolis is 140 miles south of Saint Mary's on US 31. Click here for a campus map. The South Bend (SBN) airport is 5 miles from campus. Students arriving by plane or train to this airport are advised to take a taxi to campus ($10-16 each way). Students who fly into Chicago O'Hare (ORD) or Midway (MDW) airports may take Coach USA/United Limo bus service to campus. Information available at www.coachusa.com. Please note: Embody staff members are not permitted to transport students. Dress for the summer institute will be casual. You will be comfortable in shorts, slacks, jeans, t-shirts, etc. Some of the meeting facilities are air-conditioned; the residence halls are not. Nights can be quite hot or cool, so pack accordingly. The following is a suggested packing list. *Please note that the use of cell phones and other mobile devices is limited during the day. Any portable screens - iPods, tablets, etc. Larger appliances - televisions, stereos, refrigerators, etc.